Probably you haven't heard much about RHF, another Italian small HiFi Company located near Rome. You'll be surprised to know that RHF has been making loudspeakers (plus drivers and amps!) for 20 years already. The reason why they are not well known to the audiophile worldwide community is because these guys have choosen to design and build few models and sell them direct: hence they are hard to find even here in Italy! Italian audiophiles are aware of the RHF gear because the Company attends each HiFi Show here in the BelPaese, Top Audio, Rome Audio Show etc. Very often their room has been reported as one of the best sounding ones in the Show. Hence I was curious to give the RHF stuff a try. I've waited for this till their website was up and running at full steam (well, almost) so the audiophile community could get an idea of their production line: there are 3 hybrid floorstanding loudspeakers, equipped with the RHF proprietary ribbon mid-tweeter driver. Yes! RHF designs and makes at home these sophisticated ribbon units and the smaller one of these has been used for the entry-level Aulos I'm going to test. The Aulos, as you can guess from the picture, is a pretty strange loudspeaker. First of all, have a look at the cabinet: it is a truncated pyramid with a black piano lacquer finish. A cabinet of this kind doesn't come cheap, for sure! Then it uses a RHF ribbon mid-tweeter unit, which has a total radiating surface of 49 cm2 and a (membrane) weight of 0,213 g.
The woofer, loaded into a bass reflex rear-firing port enclosure, is a long-throw 21 cm (8") unit. So you can conclude the Aulos is a two-ways system...well, not exactly. Take a look at the rear: you'll find a conventional 5 cm cone supertweeter which helps the ribbon unit above 8 kHz. Frequency response is claimed to range from 45 to 20,000 Hz, sensitivity is 90 dB while the Aulos numbers are 31 x 31 x 118(H) cm. Each Aulos weighs in at 22 kgs (45 lbs). A rather large floorstander, that is. Fancy shaped adjiustable spikes help placing the Aulos into your listening room. The metallic grids that protect the drivers are magnetically locked to the front baffle, no velcros, no clips, nothing at all. Neat. Easy biwiring allowed. Be prepared for an extra-smooth warm sound: the Aulos is a velvet carpet where the Music rolls gently and sensually. The ribbon driver is a very gentle unit, always very sweet and with a smooth roll-off in the upper-highs. The rear super-tweeter is a very different animal, though. Not as gentle as the ribbon, it doesn't seem a good match, indeed. It clearly completes the musical message above, say, 10 kHz, but it's sound ain't sweet nor warm. For this reason, when the recording is rich of very high frequencies you can distinctly hear the two units sounding different. Anyway, most of the times, it is the ribbon unit that imposes it's sweet character so that the Aulos can be defined as a warm and smooth overall performer. The woofer reproduces frequencies till 1,500 Hz where it crosses the ribbon unit. Perhaps the ribbon can't go any lower so the designer has been forced to use the 21 cm woofer as a partial midrange. IMHO, this woofer is a very good unit when used as a REAL woofer: it's bass range is superbly powerful and earth-shaking and it seems to go deeper than the claimed 45 Hz lower limit. There's no doubt that organ pedals can shake the floor (let alone the windows) and that percussive instruments are reproduced with a sense of brutal realism which is simply thrilling. When the woofer is forced to reproduce mid frequencies (up to 1,500 Hz) it seems to lack the transparency of a dedicated mid driver, sounding sometimes muddy and gummy. In other words, the tonal balance is on the warm side with a deep and powerful lower bass and a good amount of grandeur that makes the sound big, involving and very easy to listen to. The Aulos prefers overall listening pleasure to cold precision and microdetail. The tonal balance changes a bit (read: it becomes brighter) at high listening levels. Thanks to the very good woofer and to the very fast ribbon driver, the Aulos can deliver very large amounts of musical power without evident dynamic compression. While the woofer seems to outperform the ribbon unit in this department, the Aulos sounds fast enough to give the right pace and swing to every kind of musical program. Fast, yet not impressive. And this makes sense if you consider the overall behaviour of this 'speaker: built to play for hours without fatiguing your ears. The 90 dB/1watt/1 meter sensitivity is very amp-friendly: few, good watts are required to create a convincing performance even in large listening rooms. Anyway the Aulos seem to prefer high listening levels. Microdynamics ability is fair, these 'speakers are not meant for razor's edge reproduction. Invisible speakers most of the time, the Aulos leave enough room for Music to generate from the air surrounding them. In particular, thanks to the very gentle ribbon unit and to the rear tweeter, the 3D scene is always well behind the 'speakers and above them. A not-so-(laterally)-large soundstage, with sometimes blurred contours is what you get most of the times. On the other hand, the presence of the rear tweeter, on some recordings, can cause a not-so-funny effect on the soundstage: you can distictly hear the rear tweeter DETACHED from the ribbon unit (read: sounding off tempo). It is hard to explain this in words, it is like the soundstage gets splitted in two or more "depth" planes, probably because the two units' frequency response overlaps for a while. This highly depends also on the placement of the 'speakers into the listening room: the distance of the rear tweeter from the rear wall plays a key role here. Look at the Some advice section below for further details on this aspect. Avoid placing the Aulos close to the rear wall: the rear-firing reflex port and the rear supertweeter will suffer from this position, creating a muddy and distorted sound. Keep the Aulos at least 80 cm far from the rear wall and try small changes from there (back and forth). Toe-in of the 'speakers isn't strictly necessary: the ribbon unit does have a good widespread emission, indeed. Toe-in makes the sound brighter but the soundstage collapses. 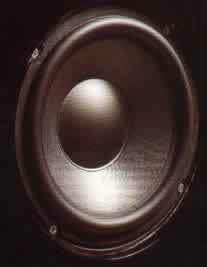 Beware of placing these 'speakers into a small room: the amount of bass frequencies can cause more than one problem. 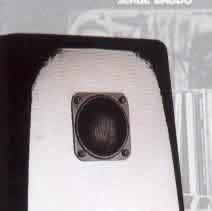 If your listening room has not a good bass frequencies control, avoid buying speakers that can go this deep (and loud). Though these Italian black beauties can play loud even with low-powered amps I'd recommend a hi-current solid state amp in order to give the woofer the necessary control and "drive". I wasn't allowed to try this at home but I guess that "taming" a little bit the rear supertweeter would result in a more "coherent" high range. The Aulos isn't available in different finishes, so you have to love these black piano finished pyramids. They won't suit well every kind of furniture except the modern hi-tech one. The quality of the finish is superb, though. The rear firing reflex port can cause some extra trouble while placing the speakers into the listening room. The same applies to the supertweeter which, in my humble opinion, creates more problems than it solves. Also, this unit seems to be very far from the quality of the ribbon driver. The price tag seems reasonable considering the proprietary ribbon driver, the fancy and expensive cabinet and the superb quality of the finish. The Aulos is a fine 'speaker but certainly it won't suit everyone's needs. You need to love it's warm (euphonic?) personality and be prepared to spend some extra time placing the 'speaker into your living room. If you were starting to think that Italian loudspeakers were all created equal...well, think again. These hybrid ribbon-equipped 'speakers from RHF prove there are many different approaches to HiFi reproduction...you just need to find the best one that meets your likings. A warm thank you to the RHF staff for having sent us the Aulos for this listening test.